WOW! If you happen to be a strong investor and you have been looking for land in a great location, THIS IS DEFINITELY WHAT YOU WANT! Obviously, you'll have to be patient and take care of all of the ability for subdividing so you can find out just how much subdivision can be done. 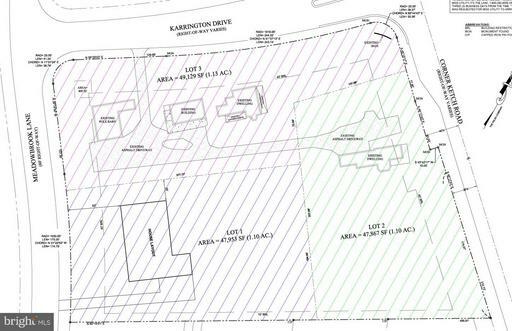 If you decide to move out both of the houses off the land, it appears as though you will be able to have 3 lots. If you have that, you will be able to build some extremely nice homes as the Estates of Corner Ketch (which was the original farm owned by the Smith family) is definitely one of the most popular areas in all of Newark, Wilmington and Hockessin. However, honestly, I think that there may be the possibility of a couple other things that will also be absolutely wonderful, but that will definitely be something that you will have to get confirmed. Remember that 847 Corner Ketch is included with your purchase as well as the total 3.33 acres and 851 Corner Ketch. This has the ability of Public Water and Public Sewer. DEFINITELY A GREAT ITEM TO PURCHASE, SUBDIVIDE & DEVELOP! __________ ____________ __________________________ ______________________________ ____________________ Also, if the 1.1 acre lot is purchased, each of the 2 houses will be available to purchase. HOWEVER IF YOU ARE INTERESTED IN THE ENTIRE 3.3 ACRES THAT INCLUDES THE OPEN LOT AREA AND 2 HOUSES, PLEASE SUBMIT CONTRACT & IT WILL BE #1, THEN PROBABLY WILL BE THEN IN 1ST POSITION AS SOON AS WE CAN GET YOU THERE.